I’ve never been very interested in baking, until recently. I read Bringing Up Bebe by Pamela Druckerman, and in it she explains that the reason French women are skinny and beautiful is because they like to make cake. I’m sure there were other important takeaways in the book, but that was the one that resonated most with me. Since then, I’ve become a cupcake making machine. My husband thinks I am doing this to be nice to him. Honestly, making him happy is more of a convenient side-effect of this project. (Sorry, Babe.) He even bought me a new gadget the other day called a cupcake corer. It’s something that scoops out the inside of the cupcake so you can add filling. 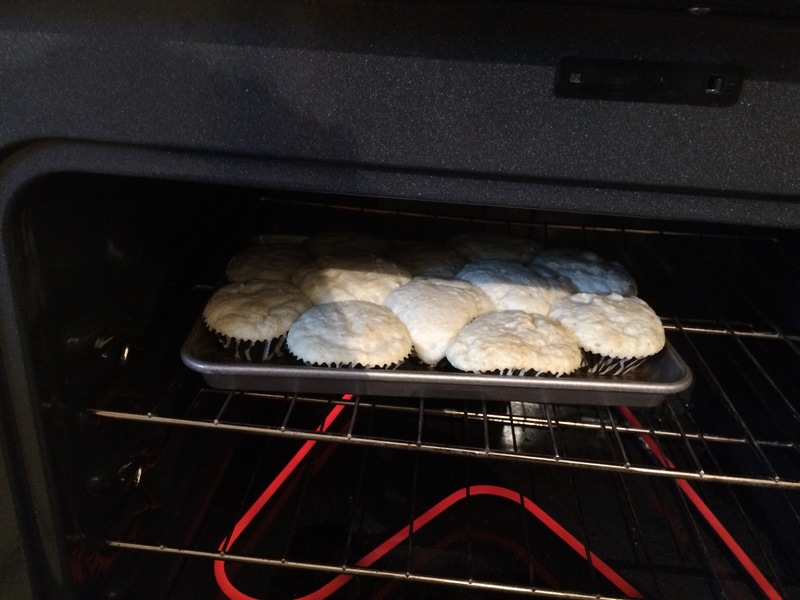 I also thought I’d share some photo of my cupcake disasters, so you can see what really goes on behind the scenes. Too often on blogs we just see evidence of pretty, perfect lives. The other day I posted a picture of cupcakes and someone actually asked me for the recipe. Seriously, I am NOT the person to ask for a cupcake recipe. Really. I promise you. I’ll give you a hint: It involves a box of cake mix and some vegetable oil and water. I don’t even use eggs. That would be too complicated. 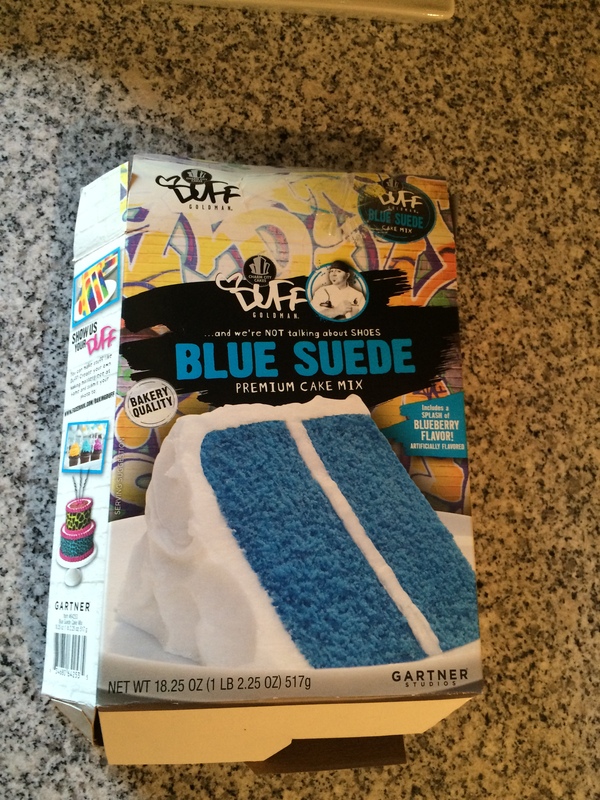 Duff’s Blue Suede cake mix. Photos by Holly Tierney-Bedord. I didn’t notice the tiny packet of blue liquid in the box, which was a VERY important ingredient. I would have seen this step if I’d read the box, but I don’t like to bother with stuff like that. 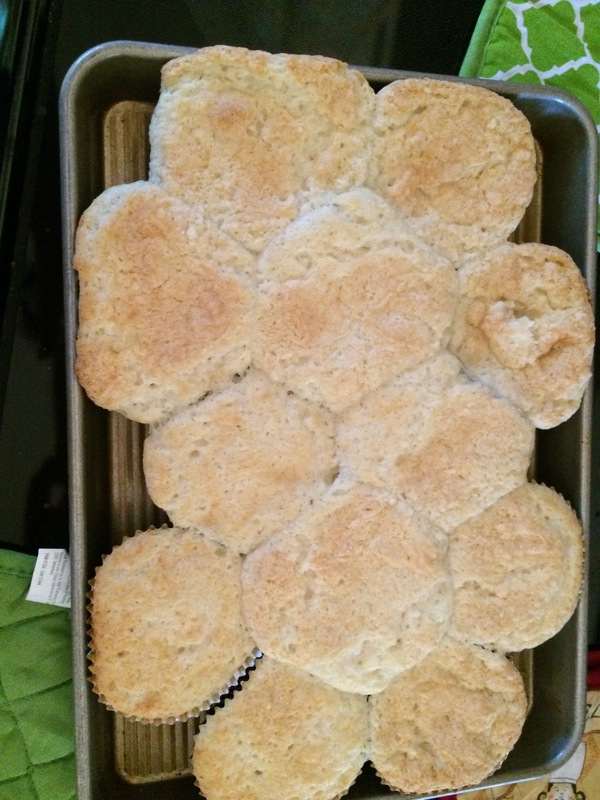 I also completely overfilled the cupcake wrappers, having forgotten that things get bigger when you bake them. Why aren’t they blue? Why do they look like bread? Sensing I may have done something wrong. Blue Velvet cupcakes. Thanks Duff, I want my money back. Since this humbling experience, I’ve gotten much better. I’ve made about twenty different flavors of cupcakes, from strawberry to lemon-lime to chocolate, and none have turned out anywhere nearly as bad as that first batch. The main detail in making successful cupcakes seems to be in filling the cupcake wrapper only about halfway full. Really, that’s the only change I’ve made to how I do things, and it’s enough to make me feel like a somewhat-competent baker. I’ll let you know how that cupcake corer works.